Welshman Simon Edwards says playing alongside golf's stars in the 150th Open at St Andrews is "as good as it gets" for a club professional. The 39-year-old North Walian lines up alongside Tiger Woods, Lee Westwood, Phil Mickelson and co at the self-styled home of golf on Thursday. The Windermere club pro said: "For a club pro, it is a phenomenal feeling to be among the world's best players. "It's a dream come true. To be at an Open is the best feeling in the world." Edwards had to go through regional and final qualifying at Ladybank - where endured a nerve-jangling play-off on both occasions - to qualify for Europe's only golfing major. The Wrexham-born player qualified for the Open at the sixth attempt to join fellow Welshmen Rhys Davies and Bradley Dredge at the event. Edwards is in the last group out on day one of the Open on Thursday as he, Korean golfer Jae-bum Park and George McNeill of the United States begin their round at 1621 BST. He joked his main aim was to "get around before it gets dark". The former Wales junior and senior golfer, who has played three PGA Championships at Wentworth, turned professional 18 years ago at Wrexham Golf Club. 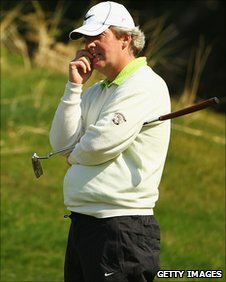 He is a two-time PGA Cup team member - playing a role in Great Britain and Ireland's win over the United States at The K Club in 2005 - and has won two PGA North Region Order of Merit titles. 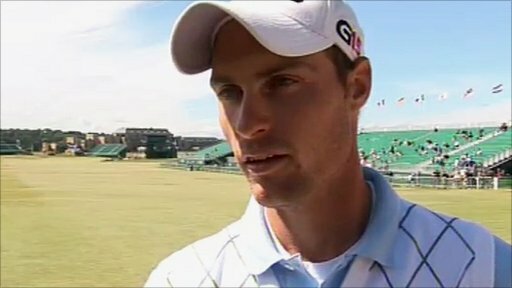 But he joined Windermere Golf Club in the Lake District in November 2008 and says making the Open "Is still a bit surreal". He added: "I tried to do it as a full-time player and failed but I have now done it as a club pro. It's fantastic. "The world's best players are here and I still can't believe I'm going to play the 150th Open at the home of golf - maybe it will become more real when I tee off on Thursday. "I am very fortunate to be in the field. It is what we all work for. This is as good as it gets."